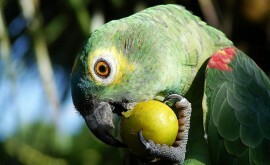 By nature, parrots are good at hiding illness. After all, to avoid becoming prey in the wild, these birds must appear healthy and strong. 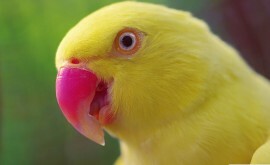 In fact, there are times when even other parrots within a flock will attack or chase away a sick member as a way to prevent them from also becoming a predator’s target. 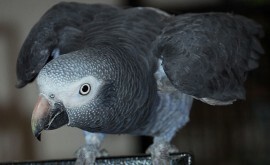 The way parrots display signs of illness are much the same in captivity as in the wild. 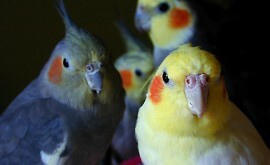 To a companion bird, its owner and other members of the family are now the “flock”. For that reason, a sick bird might pretend to feel perfectly fine by playing with a toy, ruffling feathers, eating/drinking, and talking. However, this could be nothing more than a ploy. Typically, signs of advanced disease are subtle. This coupled with the fact that birds hide illness so well, it is important for owners to learn important clues. To bring this point home, that often, birds become seriously ill without anyone knowing. Accordingly to some of the top avian experts, one day of illness is equal to seven years in a human. It is suggested that bird owners weigh their pets. If there is a loss of weight over a period of three days or if 10% of the bird’s body weight is lost, regardless of timeframe, a trip to a reputable avian veterinarian is warranted. Along with the signs listed above, two signs that indicate a true emergency include gagging and stretching of the neck and bleeding. It is vital to pay attention to changes and then act quick and appropriately. While some of the signs are obvious, more subtle changes like change in eating habit or routine can also signify a problem. Not only is it important to monitor a bird for signs of distress, but also provide proper housing and a healthy diet. As part of keeping a bird healthy, an annual examination is highly recommended. At that time, the veterinarian should be able to identify any health problems that might not seem obvious. 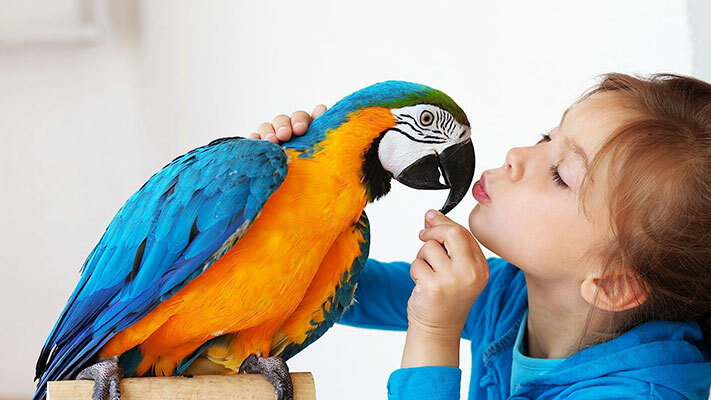 When going to the vet, a parrot should be placed in a small pet carrier, cage, or covered box with air holes. Unfortunately, there have been reported cases of birds escaping because of being transported in a lap or on a person’s shoulder. If the bird is sick, being taken to the avian veterinarian in a closed environment will help reduce stress. In addition, any bird droppings should be left, making it possible for the veterinarian to examine them. If there are any questions or concerns, a local avian veterinarian should be contacted. Of course, if a bird shows signs of illness, he should be taken in for an examination as quickly as possible, unless it is an emergency situation at which time the bird needs to be seen immediately.